The luxury sedan is the virtual zenith of the automotive mountain. It is what all drivers crave sooner or later. Sure, there are those who prefer power, speed, or size; but the luxury sedan will always be in the back of every driver’s mind. It comes as a brief thought whenever a high-class sedan goes rolling by on the road: “Someday, baby. Someday.” If you’re one of the many drivers whose Someday just happens to be today, here is a look at what’s available to you as the best luxury sedans of the 2011 model year. 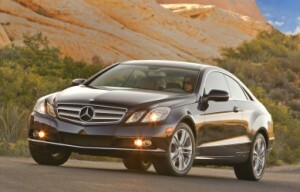 The E-Class is a luxury sedan that thinks it’s a sport coupe. Powered by a base 3.5L V6 engine, it brings a brilliant balance of ride quality and handling. The hardest part for consumers may be deciding upon which of the six trim lines to take. If you’ve got money to burn, the E63 creeps up near six-figure territory, but the 6.2L V8 engine that comes along with it will get you from 0-60 mph in just 4.4 seconds. That’s pretty close to rivaling muscle cars like the Mustang GT500 and the Corvette. Not bad for a luxury sedan that still garners 24/33mpg (city/highway) with the base 3.0L V6. 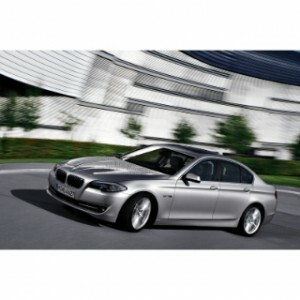 If there’s anything that can match the E-Class for choice versatility, it’s the BMW 5 Series. With five different trim lines, the highest of which does not raise the price to even close to the E-Class’s top end, the 5 Series supplies enough power, luxury, and driving excitement for any consumer. The steering isn’t quite as lively as the smaller 3 Series, but that’s to be expected from a larger sedan. With any trim choice, this Beamer provides smooth shifts, a plush interior and ample cargo space. Its price keeps it right in line with competitors. 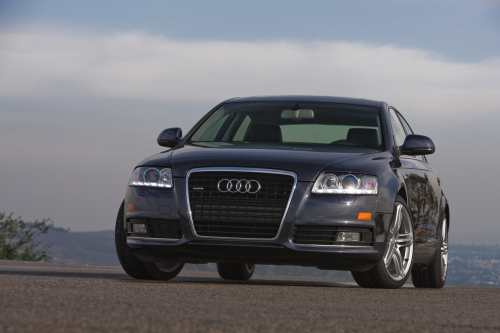 “The understated yet luxurious 2011 Audi A6 is a solid all-around effort, particularly in 3.0T configuration with its supercharged V6. It deserves consideration alongside its capable European and Japanese rivals.” (Edmunds) Three different engine options top the list of choices for Audi’s luxury liner, but it does still lag behind the 5 Series and E-Class despite its impressive resume. Spending the extra $9,000 for the 4.2L V8 is not in the best interest of consumers either, as the supercharged 3.0L V6 is more powerful. The G37 comes in seven different lines, and they are all as diverse as the driving experience you’ll receive from Infiniti’s luxury sedan. The price leaves it available for any luxury consumer, and the added power you’ll receive over its G25 cousin is well worth it. The interior provides an excellent build quality and design, but the rear seat can become cramped for larger passengers. The available Bose sound system will leave you feeling like you just had a concert in your front seat. Don’t let the price fool you, this is definitely a full-size luxury sedan. While many may confuse the Hyundai emblem with meaning subpar quality, nothing could be further from the truth on this beast. Available in both sedan and coupe, as well as offering both 3.8L V6 and 4.6L V8 engines, the Genesis gives more of what luxury owners love, choice. The ride remains smooth, but not overly soft, and the cabin surrounds passengers in a sea of silence. Couple that with its well-below-luxury sticker price and you’ve got a great choice for a full-size luxury sedan.